Themes control the look and feel of your Newscoop publications. 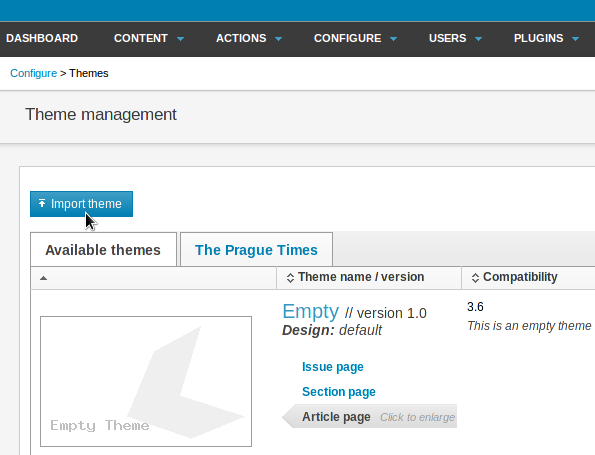 Each publication has its own theme, containing a set of templates created by your web developers. Themes for Newscoop are available to view on http://themes.sourcefabric.org/ and download from the https://github.com/newscoop/ site. 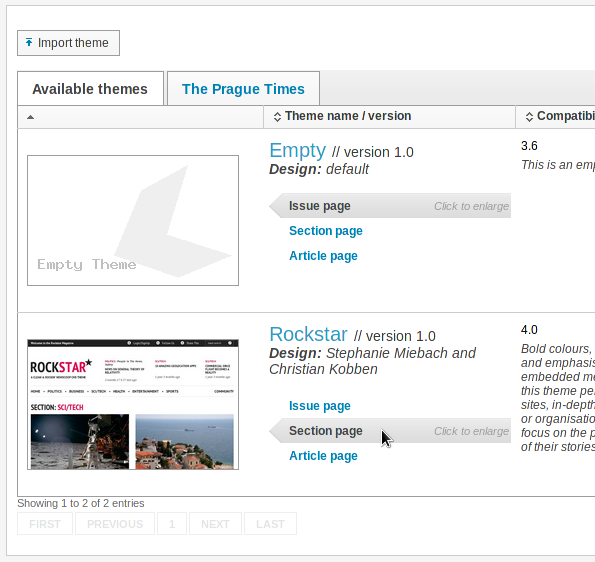 These themes can be adapted for your own website using the instructions in the Newscoop 4 Cookbook.